Over the last couple of years, I’ve noticed something about my mail box. It has more junk mail and very few letters. The reason for this is the advent of email. In the early history of our nation, travel was difficult and communication a challenge, so people were excited when they received a letter in the mail. In the early 1800’s a Christian might end his letter with a postscript consisting of two letters: D.V. 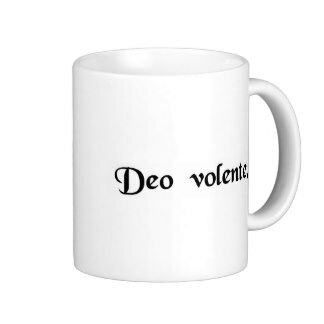 These letters stood for a Latin phrase, Deo Volente that means: “God willing.” This idea is expressed in the book of James: “If the Lord wills, we will live and do this or that (James 4:15).” The principle of this phrase and this verse is that we should not live a self-directed life. •	Be willing to embrace God’s will for your life (Isaiah 6:8). •	Look to God’s Word as a guide (Psalm 119:105). •	Seek Gods will through prayer (Jeremiah 33:3). As you follow the steps above, you may notice that when you take God’s Word in, your praise for Him will go up; your faith will go out; and, God will strengthen you as you walk in His will. ← Do You Do Your To Do?